My second M.G. 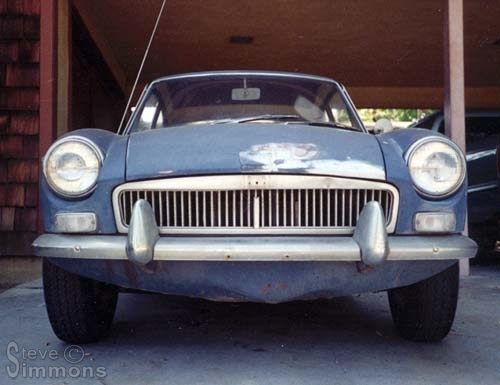 was a 1967 MGB-GT. The car was completely original and had only one owner. It only had around 70,000 miles on it, but needed plenty of attention after all the years. 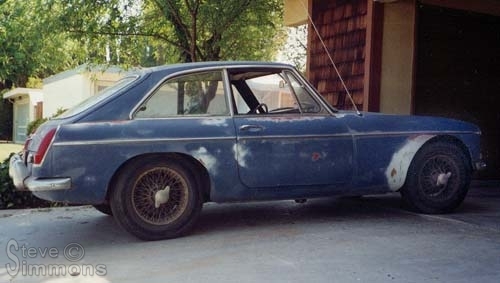 It was a great project car, but I soon realized that I could never keep up with two M.G.s so I reluctantly sold this one to a friend who restored it properly. This car was completely original. Nearly every piece came with the car from the dealer with the exception of regular tune-up items, and a couple gaskets from the top end being removed once. It even had a functional 8-track installed by the first owner. The person who bought it from me did a beautiful job on the car, keeping everything original including the color.